Definition - What does Back Mudra mean? The back mudra is a hand gesture used in yoga that is believed to have healing properties. As the name suggests, the back mudra is practiced to relieve back pain. 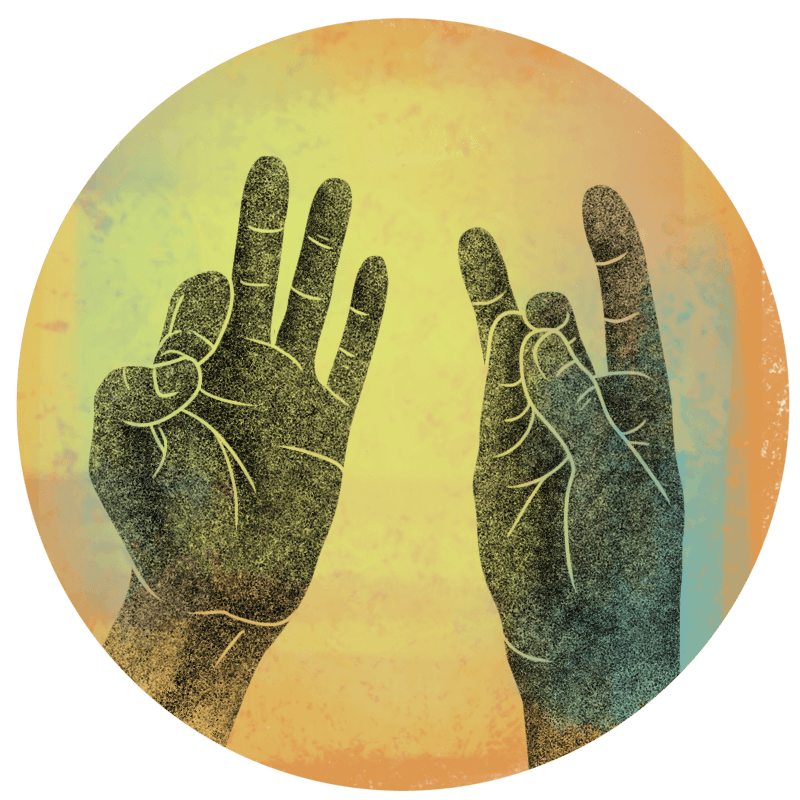 This hasta (hand) mudra uses both hands. With the right hand, the ring and forefinger remain extended, while the tips of the thumb, middle and little fingers touch. With the left hand, the thumb joint rests on the nail of the forefinger, while the other three fingers remain extended. Practicing this mudra is thought to balance the energies in the body. The back mudra is even more effective if practiced in conjunction with meditation and/or pranayama. You can take a comfortable seated position or a supine position with the knees bent and the soles of the feet on the floor. You can also rest your legs on a chair with the knees at a 90-degree angle. The arms can rest on the ground or in the lap, or they can extend to the sky.